« S&S Grand National. New 4” Slip-Ons For 1995-2017 Touring Models. Only $499 Per Pair. Published by Cyril Huze July 13th, 2017	in Editorial and Legal. The National Highway Traffic Safety Administration (NHTSA) states that 88,000 motorcyclists were injured in 2015. Since motorcycles do not have the enclosed protection that cars have, personal injuries and fatalities are unfortunately common. Should a motorcycle accident occur, knowing how to protect yourself is essential. But even if you have not been in an accident, it can be helpful to understand the laws and insurance guidelines as they apply in your state. First, you should call 911 or the police directly. The police will gather the necessary information to file a report, which will be required to file an insurance claim. This report can also be helpful in court if you are moving forward with a personal injury lawsuit. Even if your injuries are minor, you should still seek medical treatment. You may have sustained internal injuries or a concussion that is not immediately apparent. Also, when you are evaluated by a medical professional, your injuries will be documented. This documentation can be valuable evidence for any litigation. Assigning fault in an accident will differ based on the state where you live. Regardless of your location, you should stay neutral at the scene and never admit fault. This is not to say that you should not be truthful, but you also do not want to jeopardize your case by admitting blame. The more information you provide the insurance company and your lawyer, the better. Let your insurance provider know you were in an accident as soon as you can. Be prepared for them to ask you for information related to the accident so they can begin the claims process. Remember not to admit blame, but be truthful to the insurance company. If they find that you misled them, they could potentially deny your claim. It is not uncommon for representatives from the insurance companies for the other drivers to try to contact you to ask questions. They are skilled in what they do, especially when it comes to asking questions in a way that may benefit their company. It is advised that you do not have contact with these representatives until you have discussed the matter with your attorney. It is recommended that you take advantage of the free initial consultations that are typically offered by accident and personal injury attorneys. They will be able to give you clear answers on how you should proceed based on the specifics of your case. According to The Claims Journal 21 states follow the 51 percent Bar Rule. This rule states that a damaged party cannot recover losses if they were 51 percent or more at fault. The damaged party can recover is they were 50 percent or less at fault, but the recovery would be reduced by its degree of fault. A no-fault state means that if you are in a motorcycle accident, you must file your claim with your own insurance provider regardless of whose fault the accident was. In order to file a personal injury claim in a no-fault state, you must show that you suffered a serious injury as a result of the accident or have resulting medical bills that exceed $2,000. Depending upon the specifics of your case, you may also receive compensation for lost wages and emotional damages. In some states, drivers over 18 are not required to wear a helmet. Despite this, not wearing a helmet could negatively impact any lawsuit you try to bring should you be in an accident. For example, if you suffer head injuries but were not wearing a helmet, your personal injury award may be much less than if you had been wearing a helmet even though there is no law requiring you to do so. In other states, all motorcycle drivers and passengers are required to wear a helmet that meets minimum requirement safety standards.. Failure to wear a helmet can significantly impact any lawsuit you file with the courts. Motorcycle insurance is not required in some states. However, if you choose not to purchase insurance, you must prove that you are financially responsible through a state-specific filing. 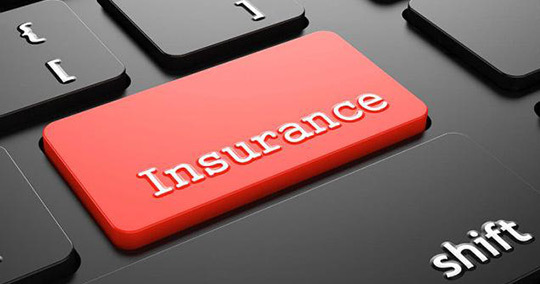 It is advised that you purchase motorcycle insurance so that you are covered in the case of an accident. Certain states require motorcyclists to buy compulsory liability insurance coverage, which pays for the other drivers’ medical expenses, vehicle repairs, and other costs in the case of an accident. Every state will have different terms relating to how long a person has to file a motorcycle accident claim. It is important to check that the statute applies to both personal injury and vehicle damage claims. John Sherman is a leading motorcycle accident attorney in New Hampshire. His firm applies more than 24 years of defense experience to help motorcyclists recover the much-needed compensation they deserve after a serious accident. And get a damn good lawyer that specializes in this type of thing. Oh, and also be patient. So many years will pass regardless. So hold out for the big bucks and allow all soft tissue damage to manifest itself.